Quest – Quality of Education for Students. 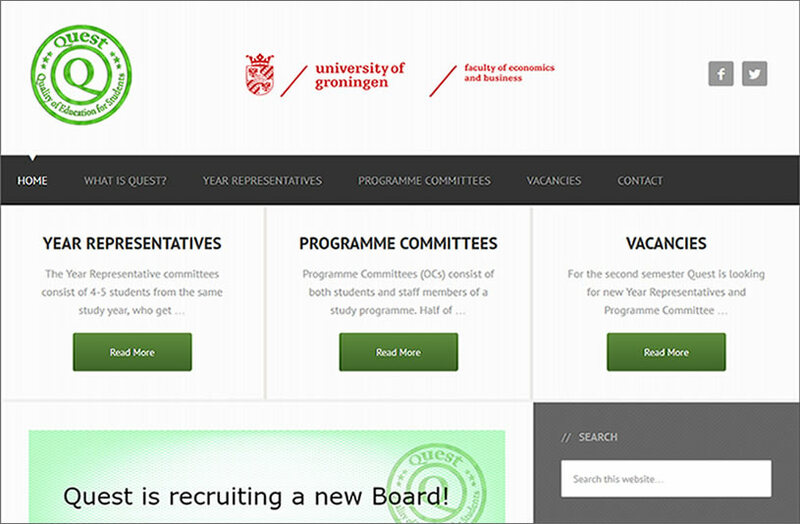 Information about the several Year Represenative Committees and Programme Committees the Faculty of Economics and Business of the University of Groningen offers. Quest is a foundation which tries to improve the quality of education of the study programmes of the Faculty of Economics & Business. One of the main channels through which it tries to do this is by facilitating the faculty’s student representatives.